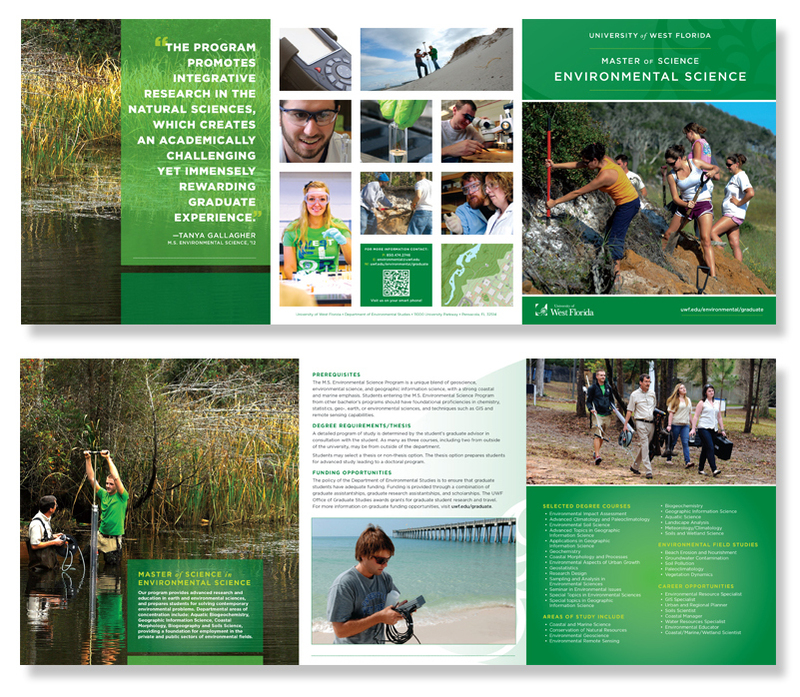 Below are several example of different marketing materials created for the University of West Florida that show a wide range of design styles representing the many faces of the University. The Master program in the Enviromental Depart was in desperate need of a revamp to their brochure advertising their department and came to the Marking and Creative Services department. We helped them accomplish this by taking new photography taken specifically for the new brochure. We took the photography and brought a new up-to-date look to the department. By pairing engaging photography and well written content, Andrew Reynolds was able to bring the program into the same design style the University was heading in. 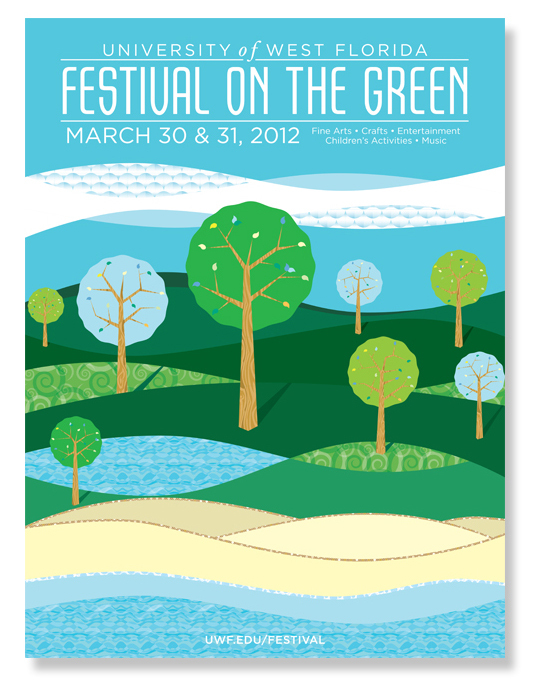 The Festival on the Green event is a early event that is focused on bringing the community and University together for a weekend event full of arts and crafts, music, student organizations, artist, kids activities, and many more pieces that made the event a large gathering. The posters above were created to advertise the event. The artwork used to make these were used as inspiration to produce many items in the campaign including; billboards, flyers, t-shirts, stage banners, yards signs, programs, postcards, and much more. 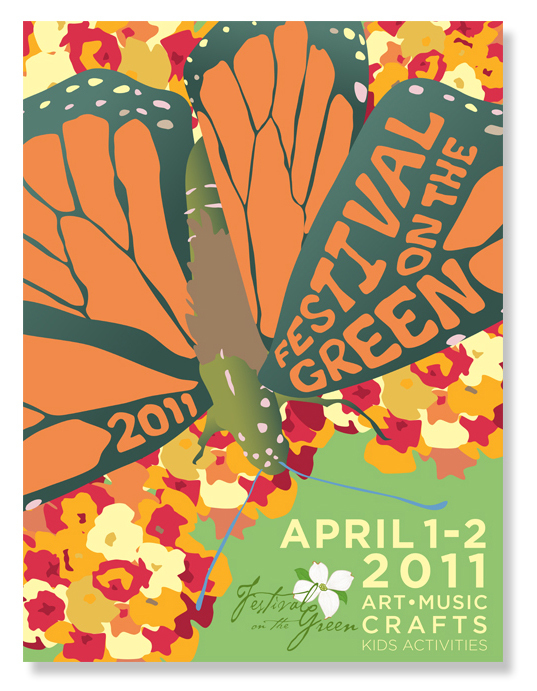 The artwork for these events was so successful that the t-shirts sold out two years in a row and the posters were highly sought after among employees of the university to hang in their offices. 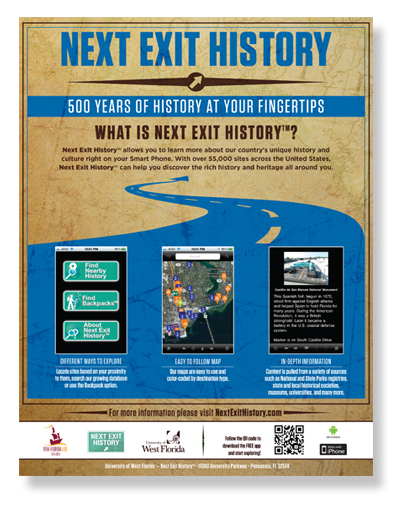 Next Exit History teamed with the University of West Florida to produce a flyer was made in team with business cards and table cover to help promote a new app at conferences. The flyer helped accomplish what the app wanted to get across by using symbols of roads and arrows to help get the point across of the app is used on road trips and taking exits to see historical land marks. To further help get the point across of history the background utilizes map and paper textures. 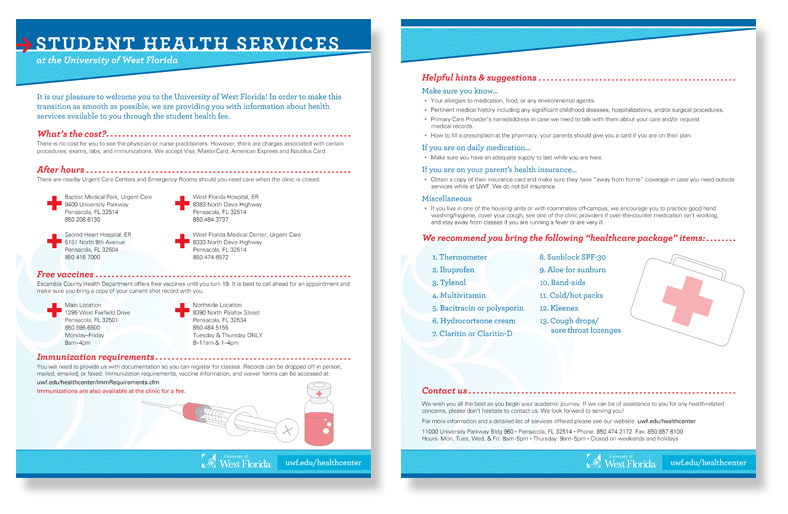 This Flyer was created for the Health Center on campus to give students information about what the center has to offers to the campus. The flyer was kept clean and precise as to not distract from the content. The hierarchy of the information makes it easy to understand and give each piece of information the importance required to be digested by the viewer. With the information being the focal point of the piece, small custom made vector graphics were used to make the flyer more lively without much distraction. The flyer also used uniformed design elements to help match the other initiatives in the family of graphics used by the university as a whole. These flyers were made to be a template for years to come when the University would have different speakers and events presented for Veterans Day. 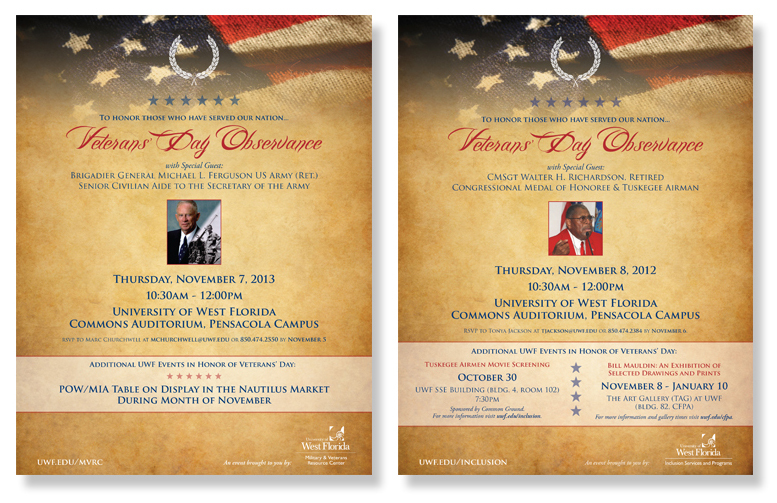 The flyers shown were used for 2012 and 2013 to promote the Veterans Day Observance event held on campus. The theme centered around America’s colors with design elements focused on military and history. Clean typography and hierarchy present the information in an easy to follow format so the viewer can understand everything they need to know about the event quickly in passing.